Mansoor Adayfi was detained in the U.S. prison in Guantanamo Bay for over 14 years. During that time, he attended informal marriage classes run by a fellow inmate, and began writing love letters despite never having been in love. Mansoor Adayfi has a unique perspective on love. 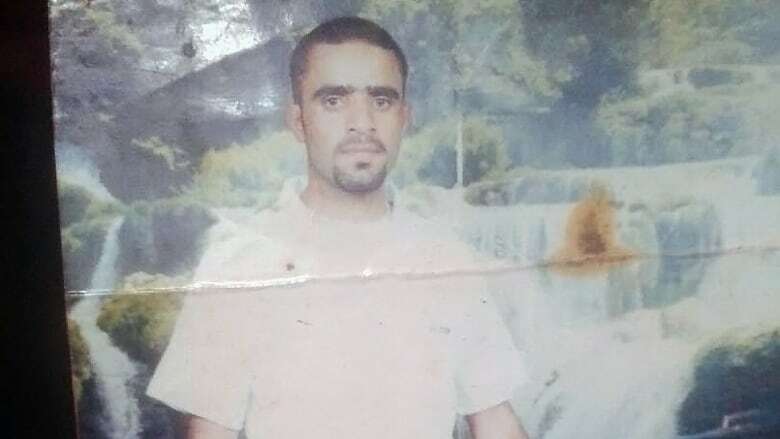 The Yemeni citizen was detained in the U.S.'s prison in Guantanamo Bay for over 14 years — from 2002 to 2016 — and held in isolation for a large chunk of his imprisonment. He was never charged, according to his lawyer. During that time, Adayfi says he attended informal marriage classes led by a fellow inmate and began writing love letters despite having never been in love. He even helped organize a faux wedding that followed his Yemeni traditions. Listen to Adayfi's story or read below as he shares, in his own words, his experience with love and relationships while in Guantanamo Bay detention camp. When I was 19 years old, I was shipped to Guantanamo detention. I didn't know where I was, had no idea why I was there. I asked, "What I have done?" They said, "We don't know." They said, "Our job is to interrogate you and ask you questions." They told me, "You're an Egyptian, your name is Adel, and you are a general." I am from Yemen actually, Arab peninsula, the country of love. We didn't know what was going to happen to us there. We didn't know for how long. So, imagine: You have 780 detainees and 48 nationalities. You have teachers, doctors, divers, pilots, engineers, soldiers, all kinds of people. It is a society, actually. So we learn from each other. We started teaching each other classes. We gathered 'round, each of us in his cell, and we started our class. Like, I remember we have journalist from Al-Jazeera, he give us a good course about journalism — how it works, how to make interviews, and so on. So many single detainees began showering those who were married with questions. What does the woman look like? How is the relationship? In our society, to know more about women is like a forbidden thing. It is very limited information. So, like, one of the detainees there, he was watching us starving to know about married life, about everything. So he decided to start a class here about marriage. He was a father, he was a husband. He was a lover. Actually he was a professor of Arabic literature. Arabic literature involves a lot of love stories and poetry and so on. He taught us how to flirt: How do you talk to the woman, what kind of words, the gifts, body language, face expression. This is how you affect a woman, this is how a woman looks at you, this is how a woman perceives you. We were very happy. The news of this marriage class spread like a flame. He taught us how to love our family, how to build a family. He tried to get us to appreciate women in our life. He said, "I want to ask you a question … Imagine this world there is no such thing as women. There is no mother, no sister, no girlfriend, nothing. There is just men. All men." We can't imagine life like that. It was like someone slapping you in the face. Some of the married people who attended our class, when you start to talk about love about how to develop a loving relationship with your wife, some of them said, "We are very sorry how we treat our women. Really. I'm sorry how we lived." And they started like, "I think we are going to be different now." One day when I was writing letters to my sisters, one of the detainees came to me and he said, "Mansoor, if you were married and you have a wife and you wanted to write to them to tell them how much you love them, how much you miss them, to keep love alive ... what are you going to write?" I said, "OK, give me time." I never been in love before and I never have wife. But something comes to my head: "to my heart." In Arabic we have [a] very good phrase like, "to my heart." Like, I love you. You are my heart beating. And I started putting it into words. So I wrote a letter. He loved it so much. He sent it to his wife. Then the word spread that I'm writing letters for my brothers. And more detainees came to me: "Can you write me this letter?" They have feelings but they can't put them in words. And people like my writing — it wasn't that good but to my age, to my level of education, it seems good. I miss you. I miss your kisses. I miss your jokes. I miss your anger. I miss those mornings. I miss when you used to throw water on my face trying to wake me up. One day I was looking at the fence, then I saw a little lizard. I never saw an iguana in my life. I give her name. Its name is Princess. So I just call her, "Come here, come here." She would come running to me. I used to feed her with my hands. Apple or banana or dates. It's one of our traditions as Arabs, especially in my country Yemen, if we eat, we must invite everyone around and share our food. We developed a very good relationship with those animals. We had some birds, too. There were snakes. We had banana rats too. Then we had cats. They were born actually there with us. So we took them, feed them, and clean them. If guards caught me feeding those animals, I was punished. But that's OK, I don't care. Because when you feed those animals you feel love; when you feel love, you feel happiness in your heart. And it connects to your soul, actually. And it gives you comfort. I feel there is something missing. Always. My life's not complete. Because I've never been with a woman before. I never been in love before, so I don't know how it feels. That is something I missed. I would like to marry a woman who is better than me. I don't care if she's a Muslim or Jew or a Christian. I don't care — it doesn't matter. And I would like to have two lovely little girls. I remember one day in our marriage class, we made a pretend wedding for one of the detainees. Actually it was a Yemeni traditional wedding. It was like the end of the class. The big day: the wedding day. Then we chose one of our brothers — he was a little trouble maker. This guy is going to marry today. We agreed on [a] wife — one of the brothers to be the bride. And our brother put the sheet around him and on his head like a Yemeni wedding. We sang, we danced on the bed. All night long. Start with Yemeni dancing, moving to the Afghani, back to the Pakistani, back to the Saudi dancing, brought it together with some moves. It was a lovely moment. It was like, you live in hell, but in that hell you find some kind of moment — like, you will never ever forget those moments. Even now. Adayfi was never charged with any crime. In 2016, he was released to Serbia in an agreement between Serbia and the U.S. government. He is currently living in Serbia without papers or official residency status. But he was recently told that as of Sept. 1, 2018, he will no longer have legal status permitting him to live in the country, according to his lawyer Beth Jacob. He and his lawyers are looking for a country where he might be allowed to live and build a life. He still hopes to find love. Should Guantanamo Bay prisoners be allowed to display and own their artwork?